Seasonal Yoga practice, combining the philosophy of 5 element theory (japanese/ryoho yoga) and Hatha (classical Indian yoga), merging into an energising uplifting vinyasa. 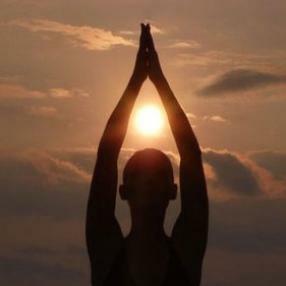 Hatha practice balances sun and moon, the male and female energy. seasonal element brings to heal and harmonise stability with meridian focus. Yoga breath with movement, towards strength, flexibility, balance, health and grace. Uplifting for the body, mind and spirit. Feel grounded, calm and renewed with vitality. Join a fun and dynamic flow through practice to music mixed specifically to enhance your practice and awaken a sense of joy within. These classes follow the Dynamic class practice of that week in silence to music. Our experienced teachers indicate when to change postures with a simple click (and if needed some minimal verbal guidance), so it's a good idea if you've tried some of the Vinyasa or Dynamic classes before coming along - but if you haven't that's fine, all you need is a fun and playful attitude. 1 hour YS-Flow classes will have simple instruction so they're a great way to start 'going with the flow'. A class that flows from pose to pose, a class that is designed to build strength and flexibility and release stress. Let go the stress of the week and begin the weekend with a yoga session that will create calm and peace within as well as work the body. Vinyasa flow sequenced yoga, starting with meditation and pranyama and building up to a more dynamic practice. Friendly small group classes that adapt to the therapeutic needs of each student. You'll enjoy carefully balanced classes that emphasise breath-centred mindful movement. Each class ends with a cup of delicious herbal tea and an opportunity to chat to your teacher about all aspects of yoga. We're looking forward to welcoming you. Hatha classes are generally of a slow-medium pace with an emphasis on the importance of the breath together with the alignment of the body towards a harmonious effect of calm body and mind and relaxation time at the end to leave you clear, calm and happy. Everyone from complete beginner to advanced practitioner is welcome. This is a great way to start your yoga practice! No previous experience of yoga is required. 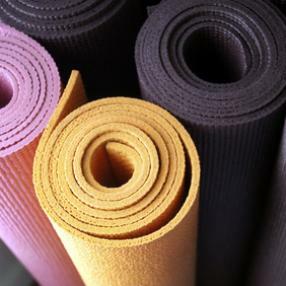 These classes introduce you to the practice of Hatha Yoga in the Yoga Synergy style. Each posture has a simple version and a more complex version enabling you to vary the level of intensity of your practice. Emphasis is on relaxation, correct breathing and flow, while aligning the body for health and fitness. Regular yoga practice will increase your strength, flexibility, and confidence and zap stress! A perfect class for those with less time! 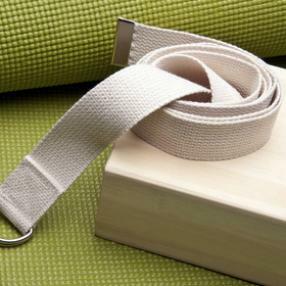 The core-strengthening of a Pilates class combined with the flexibility of Hatha yoga. A great class for beginners AND regulars. A Hatha class to strengthen body and mind. Slow flow vinyasa, all levels.